Whether you want to look at the family life of Katharine Ross or just her career as an actress, it wouldn’t need much time before you will come to agree that she is a success all around. However, the story of the American actress is much longer than the success as there have been many twists and turns. The actress was born Katharine Juliet Ross on January 29, 1940, in Hollywood, California. Because her father worked with the US Navy, her family moved a lot before they finally settled in Walnut Creek, close to San Francisco. It was there that she was mostly raised by her parents Katharine and Dudley T. Ross. She had her education from Las Lomas High School from where she graduated in 1957 before moving to Santa Rosa Junior College but would soon be out to fully pursue her acting career in San Francisco where she joined The Actors Workshop and remained for the next three years. Although she kept acting in plays, her first TV role came in 1962 when she appeared in Sam Benedict which was later followed by her first film role in Shenandoah in 1965. The next year, she appeared in two movies, The Singing Nun and Mister Buddwing. In 1967, she had multiple productions including The Graduate which earned her a Golden Globe and Laurel Awards as well as an Academy Award nomination. By 2017, when she appeared in The Hero, she had already had close to 30 movies to her name and more than 30 TV productions including The Colbys which ran from 1985 to 1987. While it is as an actress that she became famous, Ross is also an author who has published a number of children’s books. Katharine Ross’ story is a perfect example of how marriages don’t last in Hollywood, and at the same time, she is the perfect example of what marriages should be like. This is seen when you consider that between 1960 and 1979, she had been married and divorced 4 times, only to later find Sam Elliot and they spend more than 3 decades together. The first time that the beautiful actress got married was in 1960 to Joel Fabiani. The two met in 1957 at Santa Rosa Junior College before going to San Francisco Actors Workshop together. However, this was not enough to keep the marriage beyond 1962 when it ended in a divorce. In 1964, she was again walking down the aisle with John Marion. This time around, the marriage lasted until 1967 when it also ended. In 1969, she married Conrad Hall. Although the marriage lasted for 5 years, that was the best it did before it came crashing like all others before it. Not yet done, Katharine hit the aisle with Gaetano Lisi in 1974 before hitting out in 1979. After her fourth marriage ended, Ross did not get married again until 1984 when she got married to Sam Elliot who, after three decades together, may just be her last husband. The first time that the couple met was in 1969 when they both appeared in Butch Cassidy and the Sundance Kid. While Sam was just an extra in the movie, Katharine had the lead role so, he didn’t try talking to her even though he loved her at first sight. Close to 10 years later, they met again when they were both working on The Legacy. Now also famous, Sam Elliot was ready to take his shot but the actress was still married so he had to wait for the next five years before finally winning her over. Despite having 4 spouses in the past, it was with Sam that Katharine Ross had her first and only child, Cleo Rose Elliott who was born in 1984, the same year her parents got married. The only child of celebrity parents, Cleo is also in the entertainment as a singer and model. That said, she is yet to find as much fame as her parents or even have a serious breakthrough in either her career as a musician or a model. In 2011, Katharine sought and got a restraining order against her daughter whom she said threatened to kill her. The actress revealed that her daughter had stabbed her with scissors at least 6 times. 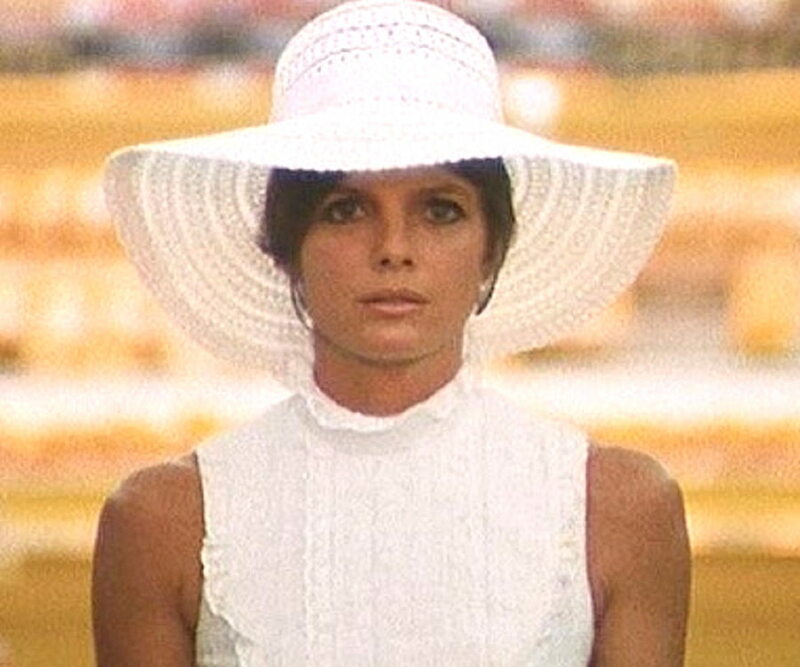 Katharine Ross is among the faces that many of us have grown up seeing on the screen. Not only has she appeared in many productions through the years, but she has also appeared in high-budget ones and has taken home a good number of awards in the process. In view of her success, it is not surprising that she has a net worth that has been estimated at $5 million.